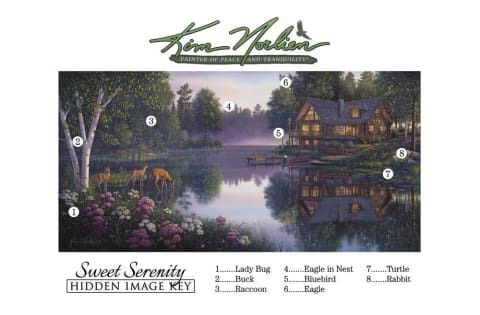 “Sweet Serenity" is one of Kim Norlien's best selling lake cabin paintings. "Sweet Serenity" is dedicated to Kim's sister, Nan, who has bravely fought and defeated cancer. Nan and her husband Rick were portrayed enjoying life at the lake in "Sweet Serenity".